Winter in St. Louis is certainly here. With the many recent snowstorms, we thought it would be a great time for a refresher course on driving in the snow. Take your time. Apply the gas and brakes more slowly than you do normally. This is the best method for regaining traction and avoiding skids, according to AAA. Think about the hills. Don’t stop on the incline of an icy hill – you may not have the traction and inertia to make it up, creating a traffic nightmare for anyone behind you. Additionally, don’t try to power up hills, it will only make your wheels spin. Drive slowly. This may seem like a no-brainer, but don’t get in a hurry. Build extra travel time into your commute or plans, and, again, take your time. Mind other cars. On dry pavement, your following distance should be around three to four seconds. In the snow, there should be between eight and ten seconds between cars. Know how to slide. 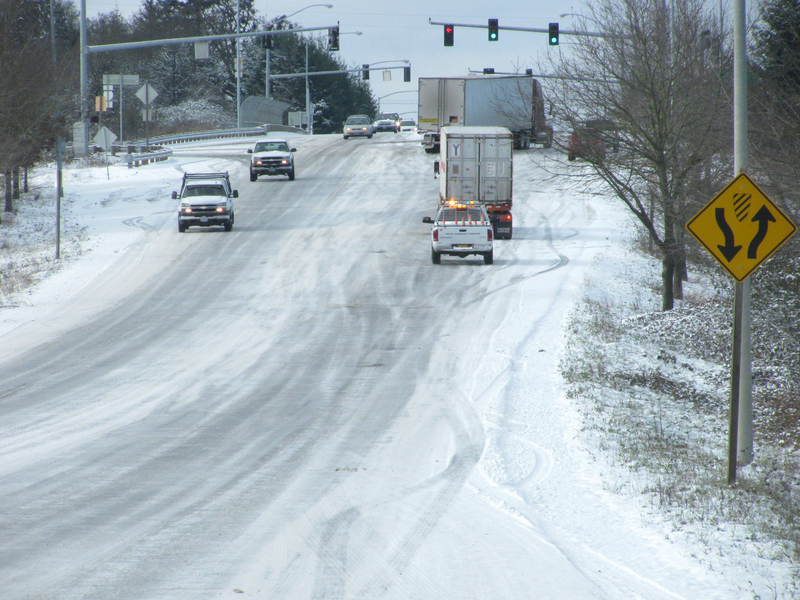 If you do start to slide on ice, turn your front wheels in the same direction that the rear of the vehicle is sliding – for instance, if the back of your car slides to the left, turn the wheel to the left. Stay home. If you don’t have to be out in a snow storm, just wait it out. Road crews and plows will be there soon enough to clear the roads, so enjoy the scenery and relax. While we wish for a milder winter, we hope you will be prepared for any more snow we get this season.